Over the weekend I discussed with some friends to do my next blog post on Fireball (lol), but figured something a little more uplifting/detoxifying is probably better-suited for all of our New Year’s resolutions still intact. Like I listed last week, I had a lot of accomplishments and learning’s over the last year. Which was awesome! All in all, my resolution last year was to at the end of the day, in no matter what context of a goal I was hoping to reach, to have the end result “well with my soul.” Doing well, doing good and living life to its fullest makes my soul happy. One of the biggest ways I accomplished this was by devoting more of my time and energy to a non-profit. I joined Komen’s Board of Directors, sat on committees and attended more meetings than normal, to really get involved more with this group, and to feel personally involved in the change this organization makes in people’s lives. Whether you’d like it or not, “free time” is much more abundant when you’re young in the workforce. Even if you’re working more hours a week than a normal post-grad, chances are you have more time than you think that you could be donating to a cause that means something to you. Instead of binging on your latest Netflix obsession after work every night this week, you could look into volunteer opportunities available to you. The reward can be just as great as your favorite show’s season finale! The whole Monday-Friday, 9-5 ordeal can be tiring, and sometimes draining. A great way to escape the post-grad career blues can be found through volunteering. After a tough day in the office, going to help those in need is sure to be rewarding and uplifting. Get through the long work weeks by having something outside the office to look forward to. And it’s always a plus if your company gives you volunteer hours or credit for giving your time! Non-profits always need money. There’s always a goal to raise more money because in the end, that means being able to help more people, animals, whatever the cause may be. But a great thing to remember in our younger years when money isn’t always overflowing, is that our time can be just as valuable. Giving a few hours on the weekend to help volunteer at a local charity event, attending committee meetings for a cause close to your heart; these all can be ways where donating doesn’t have to mean money. This is the best and easiest explanation. Doing good for others feels so, so good. Nothing is better than helping those in need, and especially when you feel like you really, personally helped. Whether it’s handing out lunches in a soup kitchen, helping write the organization’s monthly newsletter, or any aspect of volunteering that you can give, you’re destined to leave a better person than you came. When looking for New Year’s resolutions, is there an outcome any better than that? Go out and do good in the world, team! I know you can. Race season is in full swing! If you didn’t know, our 18th Annual Race for the Cure is Friday night, August 28th. We’d like to highlight some inspirational stories over the next few weeks. We hope they inspire you to register, volunteer or make a difference in someones life. 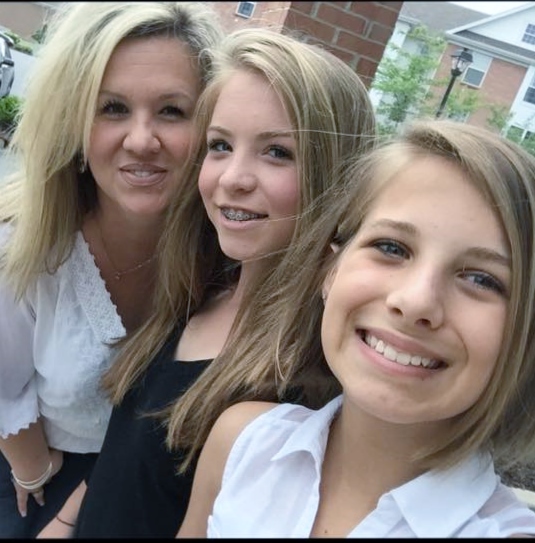 Our first post is written by Donna Traylor, an avid volunteer and mother of breast cancer survivor and Komen Cincinnati staff member Melissa. Enjoy! 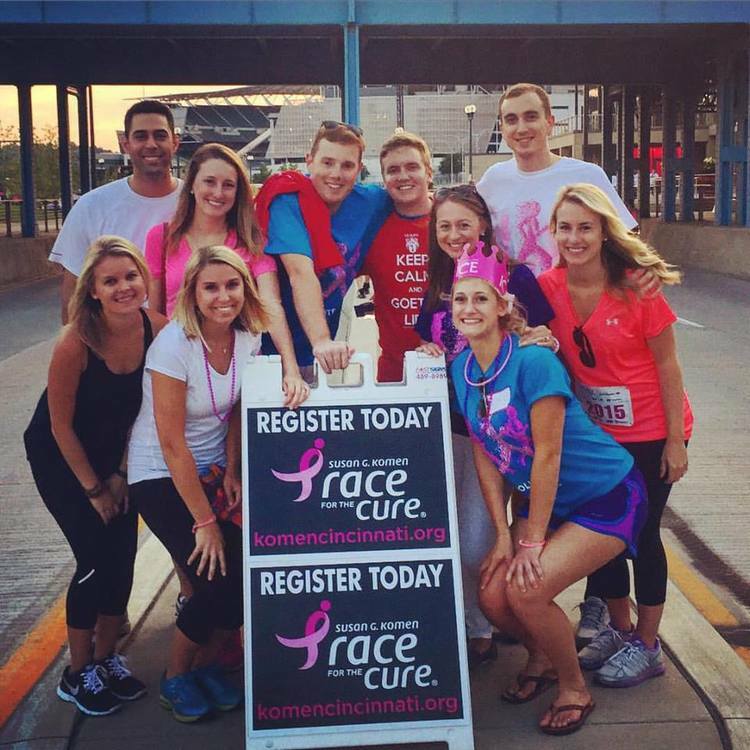 “Why do I volunteer for Susan G. Komen? I volunteer because I want to support the fundraising efforts of Susan G. Komen events, which provide early detection programs and funding for breast cancer research. HOPE that one day there will be a cure. 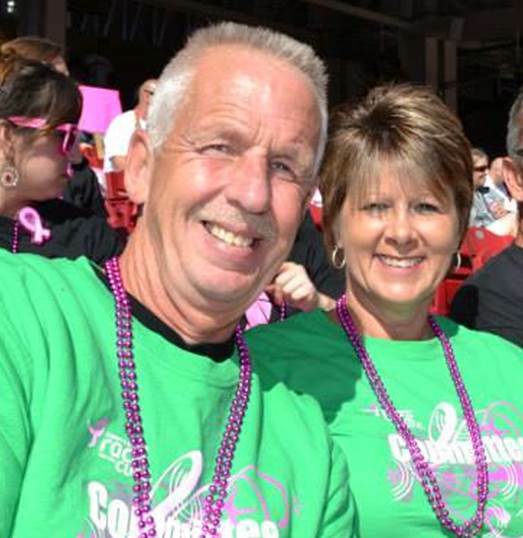 I became involved with Susan G. Komen Greater Cincinnati four years ago, shortly after my 25 year old daughter was diagnosed with Stage 2 breast cancer. I felt like I needed to do something, something that made me feel like I could make a difference. Volunteering is so easy, fun, and most of all, it’s very rewarding. A few hours of my time a year, is the least I can do. mile walk in Atlanta. It always brings tears to my eyes when I hear a walker say “thank you”. I used to wonder why are they thanking me for volunteering? But now I understand why they say that, if it weren’t for volunteers like myself, there wouldn’t be a Race for the Cure or a 3-day 60 mile walk, there would be less of a chance for HOPE, for a CURE. 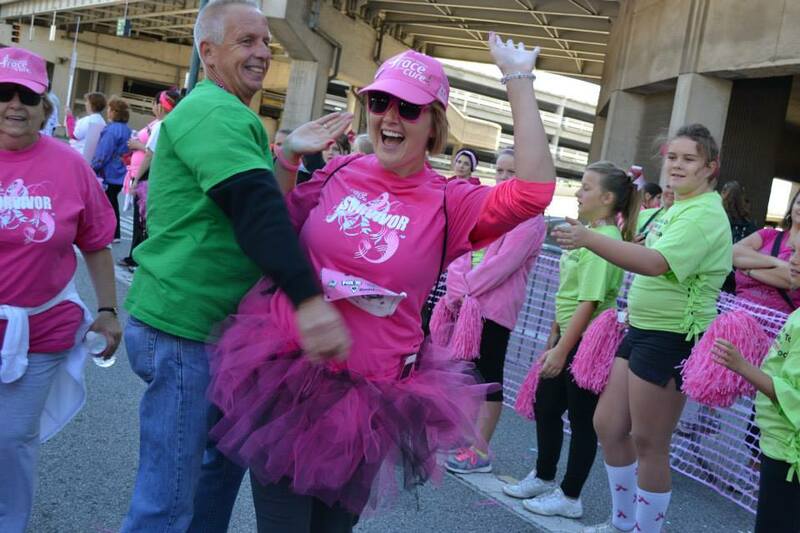 If you are interested in volunteering at this year’s Race for the Cure, please contact Jennifer Berigan at jenniferb@komencincinnati.org or click here to check out the volunteer listings on our website.